Gold and silver futures extended their winning streaks on Tuesday to six sessions in a row, each advancing 1% and logging multi-year highs — a more than 2.3-year high for gold and a fresh 2-year high for silver. Gold for December delivery tacked on $13 to end at $1,372.60 an ounce on the Comex division of the New York Mercantile Exchange. The settlement is the highest since Mar. 17, 2014 when gold ended at $1,372.90 an ounce. 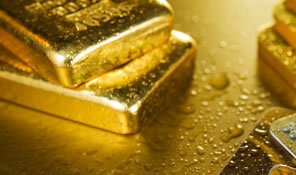 Gold futures traded from a low of $1,353.70 to a high of $1,374.20. "Gold and the other precious metals prices have been supported recently by a slumping U.S. dollar index," Jim Wyckoff, a senior analyst at Kitco Metals Inc., said in a report. "The near-term technical postures for the precious metals markets are also fully bullish, which is inviting fresh chart-based buying interest." Elsewhere, silver for September delivery gained 20.1 cents to settle at $20.701 an ounce. The close is the highest since July 23, 2014 when prices ended at $21 an ounce. Silver futures ranged from $20.38 to $20.84. October platinum climbed $8.80, or 0.8%, to $1,172.10 an ounce, trading between $1,159 and $1,183.30. Palladium for September delivery added $1.45, or 0.2%, to $717.70 an ounce, ranging from $713.90 to $724.70. Gold rose $14.10, or 1%, to $1,363.75 an ounce. Silver added 20 cents, or 1, to $20.71 an ounce. United States Mint bullion coins were unchanged Tuesday, and have yet to hit the sales boards this week. Below is a sales breakdown of U.S. Mint bullion products with columns listing the number of bullion coins sold during varying periods of time. Products with an asterisk (*) are no longer available. 1.5 months without a single 5-ounce silver HF bullion coin sold by the US Mint to its 13 worldwide bullion coin Authorized Purchasers even with a memo sent to them last week reminding the APs that they are available! What is up with this situation? I think no one is buying the HF bullion coins on the secondary market. The collectors could be saving up to purchase the gold quarter and half dollar. To me this is a must to complete the 2016 gold set. I know I won’t be around for something like this the next time there is a hundred year celebration. As a side note, I still don’t understand why the mint couldn’t of come up with a 100 year anniversary coin for the Panama Canal. That was such an important accomplishment for its day. I think you are right on target with your comments! A lot of collectors are saving up for the gold centennial coins – probably the most popular coin program of the year. And I too was surprised that Congress didn’t pass legislation for a Panama Canal commemorative coin (even though we no longer own it or the US Panama territory but did at the time it was built). The 1915-S Panama commemorative silver & gold coins are some of the best designs the Mint has created.